The median sales price for homes in Daytona Beach FL for May 10 to Jul 10 was $100,000. This represents an increase of 28.2%, or $22,000, compared to the prior quarter and an increase of 9.9% compared to the prior year. 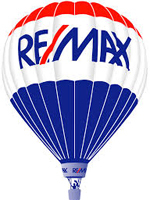 Sales prices have depreciated 35.5% over the last 5 years in Daytona Beach. The average listing price for Daytona Beach homes for sale on Trulia was $206,387 for the week ending Aug 04, which represents an increase of 5.2%, or $10,181, compared to the prior week and an increase of 2.6%, or $5,305, compared to the week ending Jul 14. Average price per square foot for Daytona Beach FL was $70, a decrease of 6.7% compared to the same period last year. Popular neighborhoods in Daytona Beach include Hillcrest, Oakwood Park, Pelican Bay, Forest Glen, Walker Terrace, and Lionspaw.